Jasenka Pregrad will share insights from her personal experience of being both a war survivor and supporter of others, and a gestalt psychotherapist. Who becomes defined as ‘traumatised’? What do those experiencing war conditions need from other human beings around them? What are the different needs and modes of encounter with traumatised persons that are called for, given the varied time spans between the first incidence and psychotherapy months or years later? These questions lead us to think about our basic ideas of sickness and health; impairment and growth; and creative adjustment and assimilation. Other themes will include the power of the field to influence personal phenomenology of trauma and implications for considering a central idea in gestalt psychotherapy: the paradoxical theory of change. The afternoon session will revisit themes explored at the very beginning of the Lecture, now reconsidered in the light of the lecture. In small groups, there will be opportunities to share personal experiences of difficult life events and what was found to be helpful and what was not truly supportive. The day will end with a guided fantasy and final sharing in the whole group. Jasenka is a survivor from the war in Croatia in 1991-96, during which she was an active member and vice-president of the Society for Psychological Assistance. A psychologist by training, she is director of the Gestalt Centar Homa in Zagreb, where she also teaches and supervises. She has a private practice as a gestalt psychotherapist. She has designed and led trainings for trauma relief in Macedonia, Bosnia and Herzegovina, Kosovo, Serbia, Albania, Denmark, the Russian Federation, and Ukraine. Jasenka has been a trainer and author for the UNICEF project ‘Support children in war’. She has provided psychosocial assistance in refugee camps and schools and worked as designer and project leader of the UNICEF project ‘End violence in schools’. She has lectured at the universities of Zagreb and Rijeka and edited the book Stress, Trauma, Recovery. Her handbook For a Safe and Enabling School Environment – Prevention of Bullying in Schoolsis in its second edition. Jasenka has twice been a Distinguished Gestalt Visitor in the GATLA European Training Program. 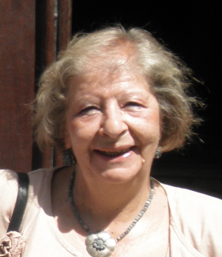 She is a widow with two children and two grandchildren and lives in Zagreb. The catering will be vegetarian. You can view our data protection policy.